Who says that Indonesians don’t eat pancakes for breakfast and even queuing for it? You will find out about it early in the morning at Jalan Cihapit, Bandung. Waking up as early as 5.30am just to get a good breakfast may be too much for many, especially in the icy cold early morning Bandung. But some people do that and getting the first cream of the crop for this particular breakfast gives you the bragging right. You will find the busy Jalan Cihapit is as drowsy as everyone else early in morning but certainly not for this serabi stall. 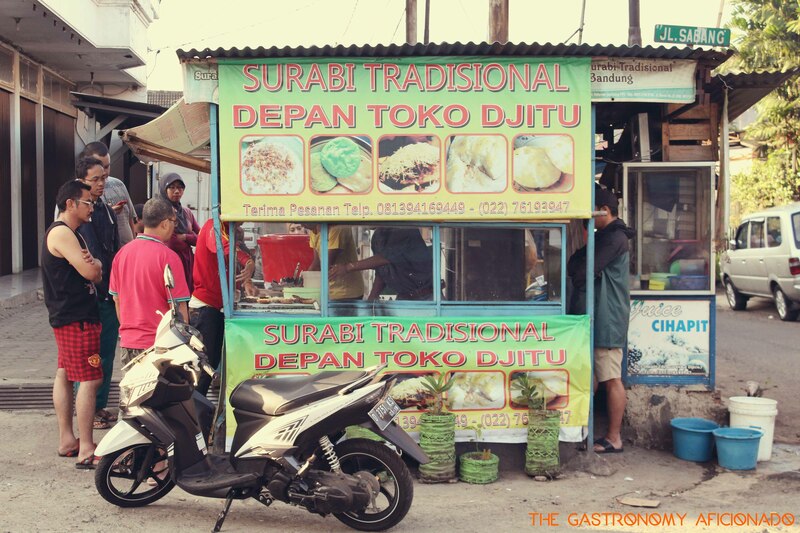 It is, by the way, called surabi in Bandung and technically quite different than Solo’s version of serabi. Upon seeing on how it is made and the characters found on it, this is clearly what we call as the Indonesian-style pancake. It is suitable for breakfast and comes with many flavors with cheese, meat, or egg. However if you ask me, I’d go for the traditional flavors. So make your queue by asking the person-in-charge for packaging to jot down your order in the queue list. 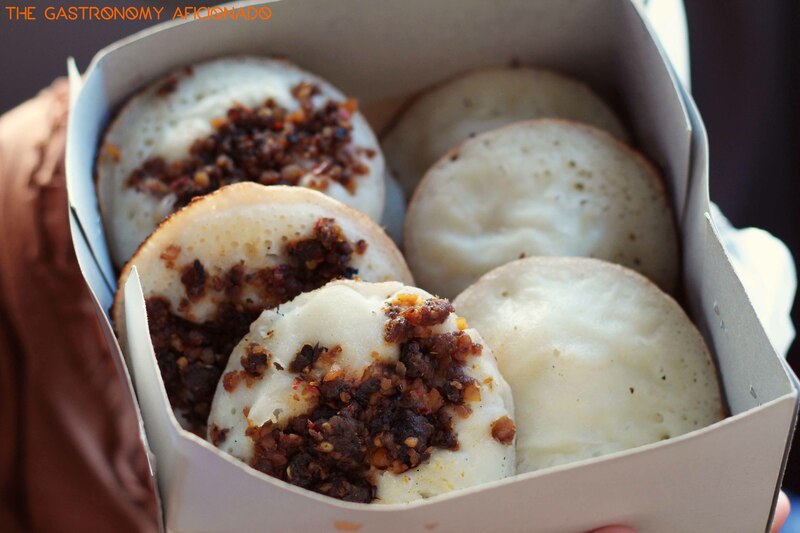 The traditional types would be the plain and simple surabi and the one topped with oncom – the fermented soybean leftovers from making tempe. The process is relatively simple as the rice flour batter was already made and all they need is to pour it on a customized shaped griddle, grilled upon charcoals. The grilling process took probably around a bit more than a couple of minutes for each serabi but since everyone usually orders around a dozen for takeaways, that’s why patience becomes the tested virtue for any of us who queue for these delicious small creatures. Of course, the wait was worth it. I had probably the best time of my life enjoying it and began to think that all those pancakes that my mother had bought me since I was a kid was something that I took for granted. It was a newfound spirit of appreciation for this lovely yet simple, traditional creation. Not only that it is flavorful, but you can’t resist its fluffiness and how tempting it is when served hot.